...the heating management system inspired by You! To DOWNLOAD The Pi Therm – Raspberry Pi Thermostat click on the link. Activate 7-day trial version and try it for FREE! After the trial period, you can purchase a full version and activate it simply On-line. Alternatively, you can get a trial version with an SD card here, or full version with an SD card here. 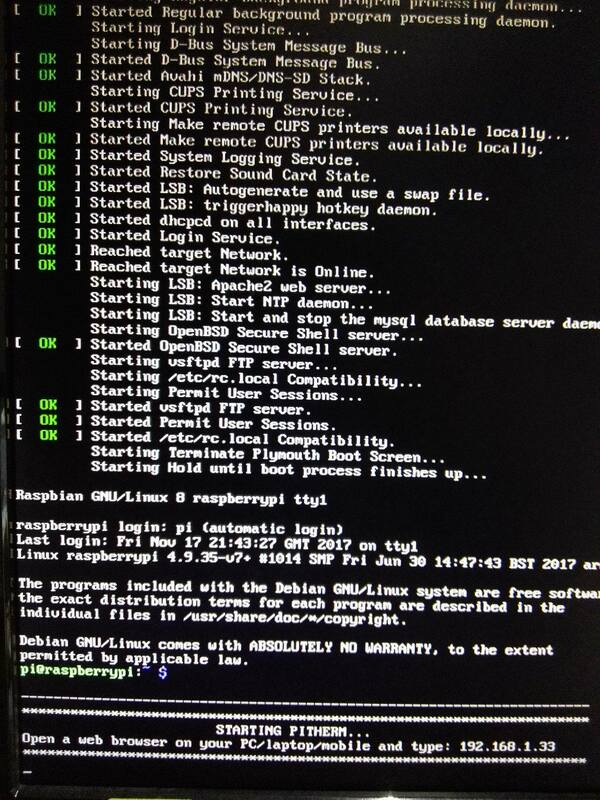 Open a web browser on your computer and type Raspberry Pi’s IP address. Do not use a web browser for Raspberry PI. The IP address starts with 192.168 or 10.0. It is an internal address – that means you can get OUT to the Internet but nobody outside your home or network can reach your Pi from the internet. This is important if you want to have a web server running on a Pi that outside people can reach. In general, it is much safer to keep your Pi on an internal network. If you would like to reach your Raspberry Pi from outside (Internet), check our Port Forwarding and Dynamic IP tutorial. Enter your valid email address. You will receive an activation code within few seconds.